I use Dickinson's Witch Hazel every single day. It's a refreshing, natural way to cleanse my skin without worry of irritation due to ingredients that may bother my sensitive skin. And best of all, it's budget-friendly and comes in different varieties to suit different skin types. Pore Perfecting Toner | This original toner is perfect for daily use, even for sensitive skin. It helps rid the skin of oil while balancing at the same time which is ideal for my oily skin! It also works to tone pores, refresh and de-puff. There are no added fragrances or dyes so there's nothing extra that could irritate skin. If I ever try other toners, I always come back to this one because my skin responds the best to minimal ingredients I can rely on! Deep Cleansing Toner | For an extra deep clean, this formulation is perfect. This toner combines menthol and eucalyptus to help remove dirt and makeup leaving skin cool and refreshed. Even after using makeup wipes, I always follow up with my Dickinson's toner and I'm shocked how much dirt and makeup can be left behind. This formula is my little insurance policy to be sure my skin is squeaky clean at the end of the day. 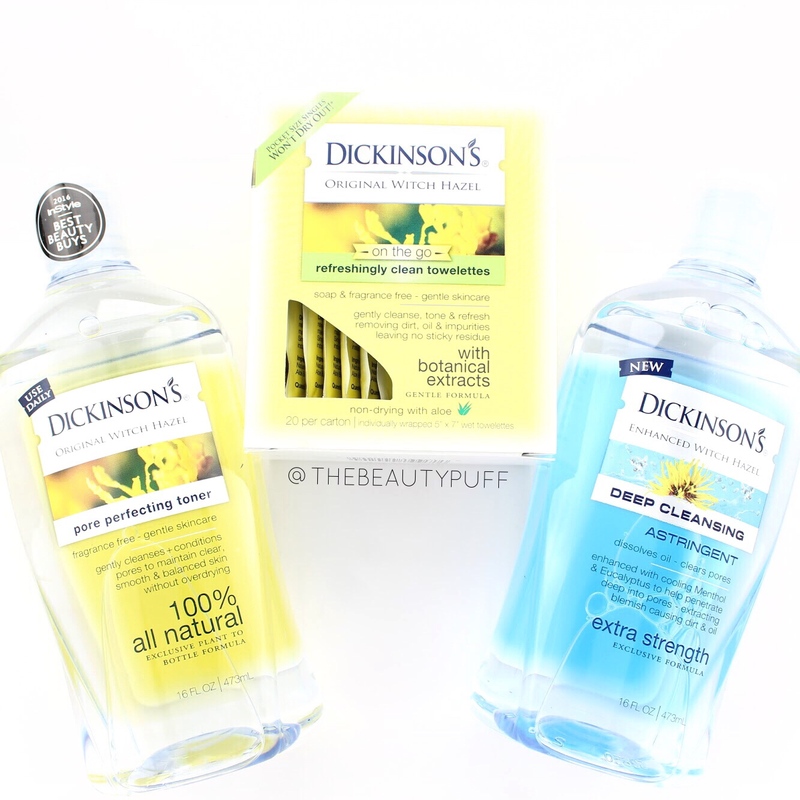 Refreshingly Clean Towelettes | How do I keep my favorite toner on hand while on-the-go? Dickinson's portable witch hazel towelettes! There's no bottle to travel with, no spilling to worry about, and they can easily fit in your bag without taking up much room. These will definitely be a necessity when I pack my hospital bag! What's your favorite Dickinson's Witch Hazel product? Check out their entire collection on the Dickinson's website below!